Today the UN’s digital ambassador Elyx has arrived in Sri Lanka’s capital city of Colombo, meeting the UN family team in the country which embraces 15 specialized agencies, funds and special programs. Everyone was ecstatic to meet the curious digital ambassador, and Elyx arrived in the middle of the preparations for a ‘70-60’ special celebration. This marks the UN’s 70th birthday and Sri Lanka’s 60 years as a member. Everywhere Elyx could see the signs for the up-coming events and the digital ambassador could not wait to learn more about the country. Sri Lanka was one of the first countries to benefit from the UN development programs in 1952 and only three years later it was officially admitted as a Member State of the UN. Nearly 3 decades of conflict and the devastating tsunami that hit the Indian Ocean in December 2004 provided challenges for Sri Lanka’s development and recovery, but the digital ambassador was glad to observe that, despite these events, the people and the strong partnership with the UN have achieved much through determined efforts. 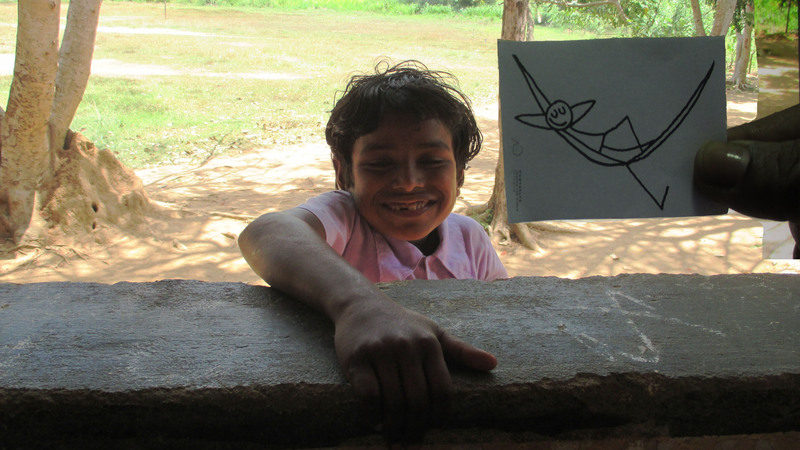 A joyful smile, a gift of UNIC Colombo on an outreach activity in rural village. Elyx walked along the south and east coasts of Sri Lanka, some of the most affected areas from the tsunami in 2004 that displaced around one million people from their homes. Sri Lanka has had a long history of volunteerism, and the many volunteers helped accelerate Sri Lanka’s rapid recovery from the tsunami in 2004. Today, the World Bank regards Sri Lanka as a middle-income country. Then Elyx visited the UNDP that showed how the people of Sri Lanka made remarkable ground with the Millennium Development Goals (MDGs), improving in particular the rural development, the number of infrastructures and public services. 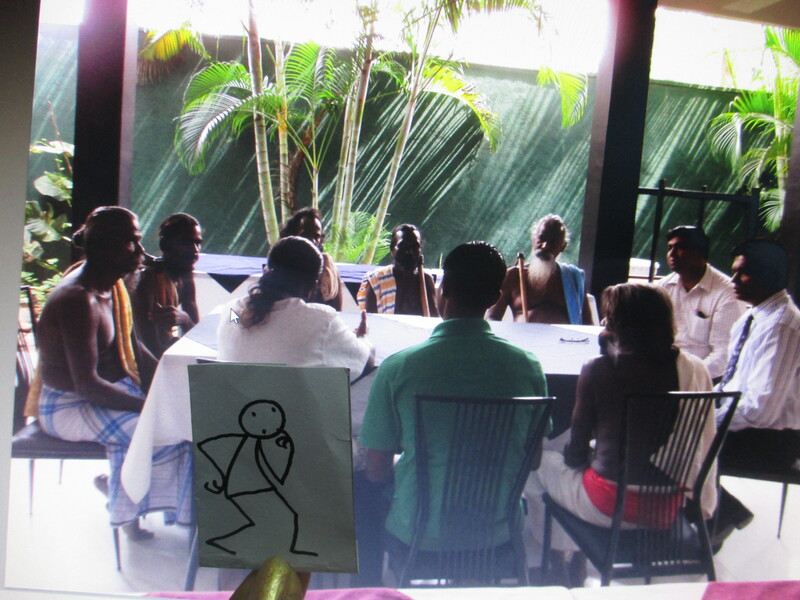 With the UNIC staff, Elyx was invited in a school of a small village to meet some children, who welcomed Elyx in Sri Lanka’s traditional way. Elyx was so grateful for the time spent with them, recognizing how education has been one of the focal points of Sri Lanka initiatives, being also a member of the Global Initiative on Out-of-School Children. 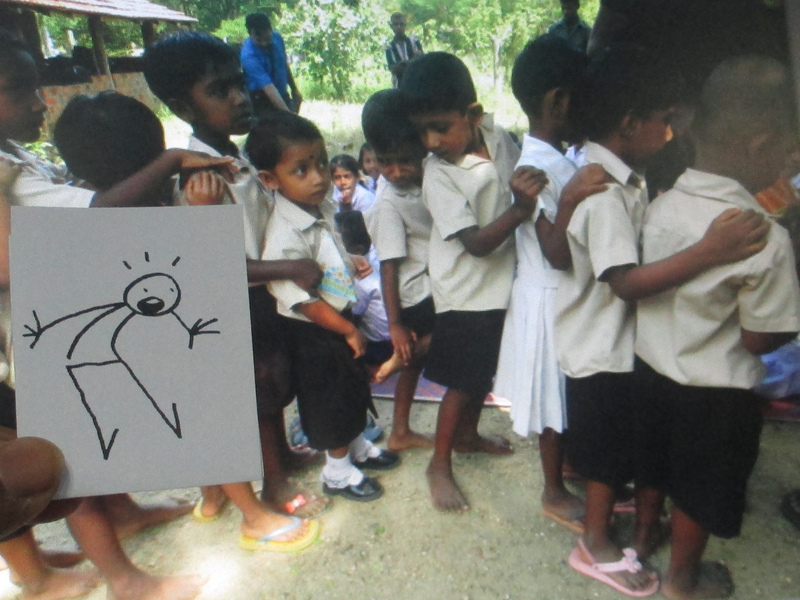 Elyx found out that 25 years ago only 64 percent of children starting 1st grade in Sri Lanka reached 5th grade. Now, it is 100 percent! 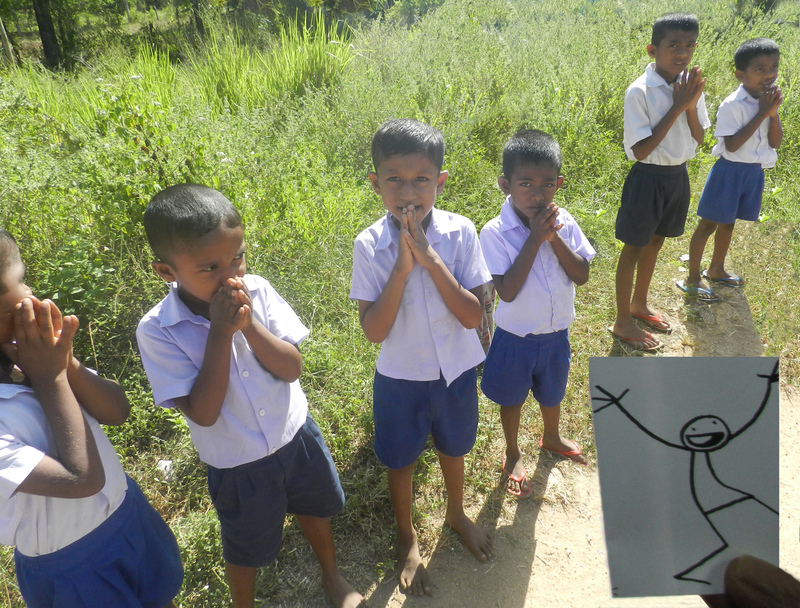 UNICEF showed Elyx how, despite successes in several fields, educational opportunities still need to be assured in many areas, especially in the ones where the Sri Lankan war triggered a negative cycle of school exclusion. A traditional welcome to UNIC by school children in a remote village in South-East of Sri Lanka. 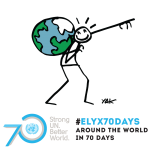 Elyx could see how the work of the UN is often performed through small personal actions and interactions. The digital ambassador was very delighted to help the UNIC staff provide people and communities the means for healthy practices. The WHO, WFP and UN-HABITAT work really closely together to empower communities and improve their resilience. to the discussion table, a major advance for humanity.